It’s been a long time coming, but Jamberoo is finally getting a major upgrade to its sports precinct in the heart of the village. 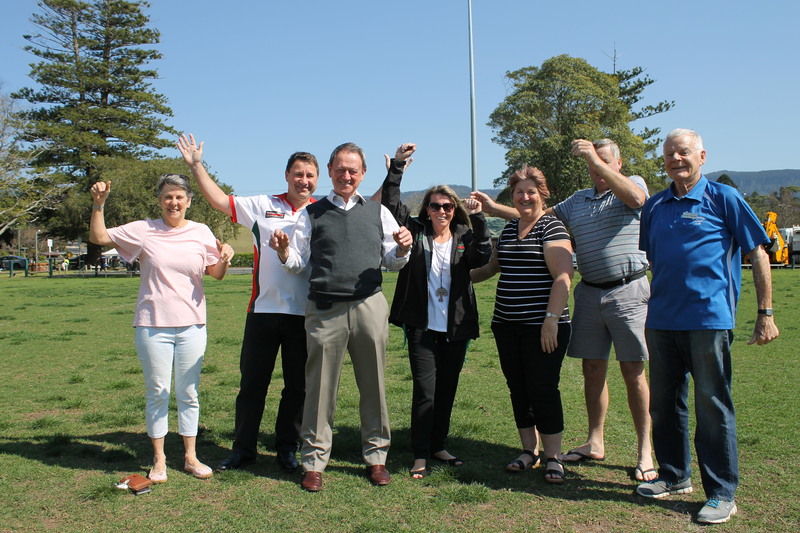 On announcing the project has just received almost $1.1 million from the NSW Government’s Stronger Country Communities Fund, Gareth Ward MP said, “I am delighted that the facilities at Jamberoo’s primary sporting location, the Jamberoo Sporting Precinct, will be upgraded. The grant is on top of $427,000 already committed by Kiama Council to the upgrade. According to Greg Walsh, President of the Jamberoo Combined Sporting Clubs Inc (JCSC), the best thing about the prospect of investing the money into the sporting precinct is what it will mean to the volunteers. “The volunteers are finally going to be rewarded. The central sporting precinct comprises the three fields at Kevin Walsh Oval (named after Greg’s father, who worked tirelessly for rugby league at a local, regional, state and national level), the bowling club, the golf club, the croquet club, cricket at Keith Irvine Oval, tennis courts and the pool. “People come here from throughout the Municipality and beyond,” says Greg. “There are 2500 playing sport here on a rolling 12 month average, in a village with a population of less than 1200. The JCSC assisted Council in its application for funding by collecting letters of support from throughout the community. While $1.55 million is a lot of money, Greg says they will be looking at stretching it further by utilising the trades skills of volunteers from the various clubs. The JCSC will be working closely with Council’s Director of Engineering & Works, Gino Belsito to come up with a final masterplan for the site. The work will include upgrading and expanding the change room, new bathroom facilities, replacing the canteen, refurbishing the Youth Hall, road resurfacing, drainage, fencing, additional seating and lighting at the Keith Irvine Oval. The Kevin Walsh amenities update will be given priority in work scheduling.